A Broad Executive MBA provides significant rewards and ROI across a variety of metrics. Learn on Saturday. Apply on Monday. 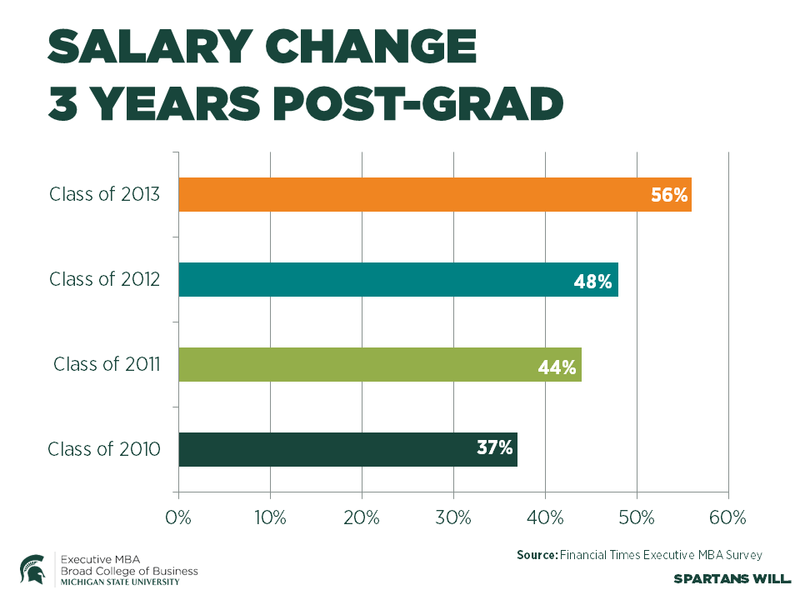 That’s one of the advantages of the Executive MBA at Michigan State. But that is not the only advantage. 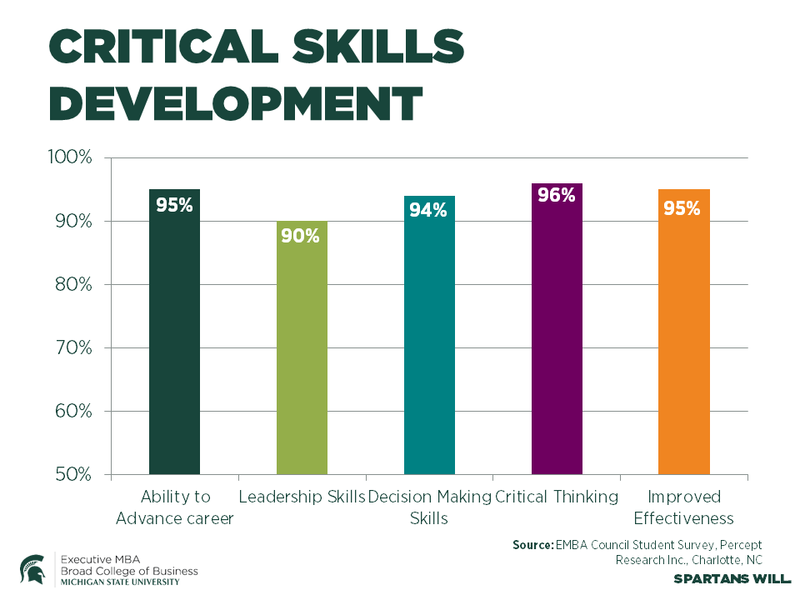 Our students report a significant growth across multiple learning dimensions including decision making, leadership, critical thinking and team building. 58%: Average salary growth after completing the program (Financial Times, 2017). 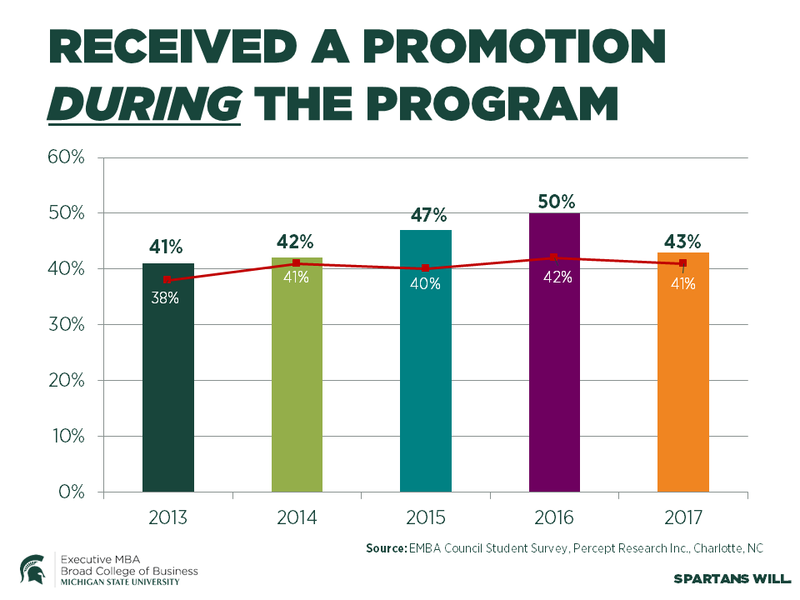 43%: EMBA students that received a promotion during the program. 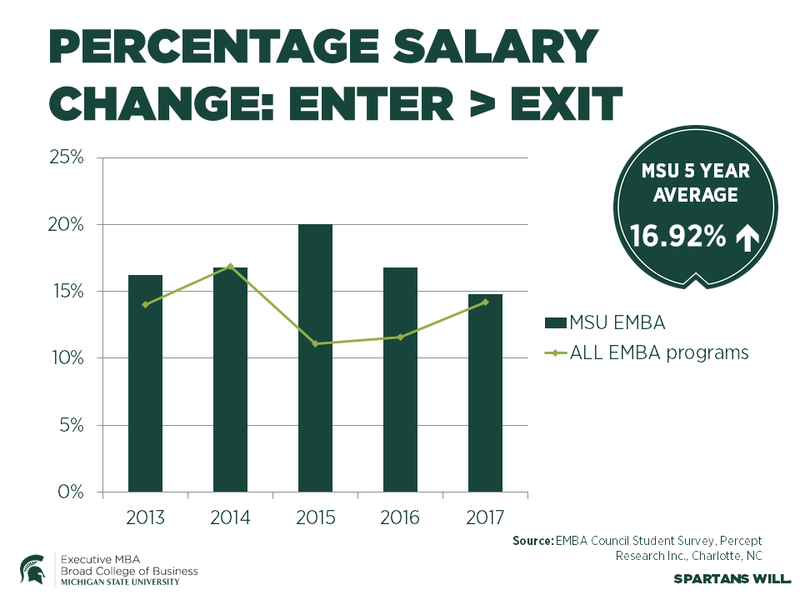 16.8%: Average salary increase from the time of program entry to exit. 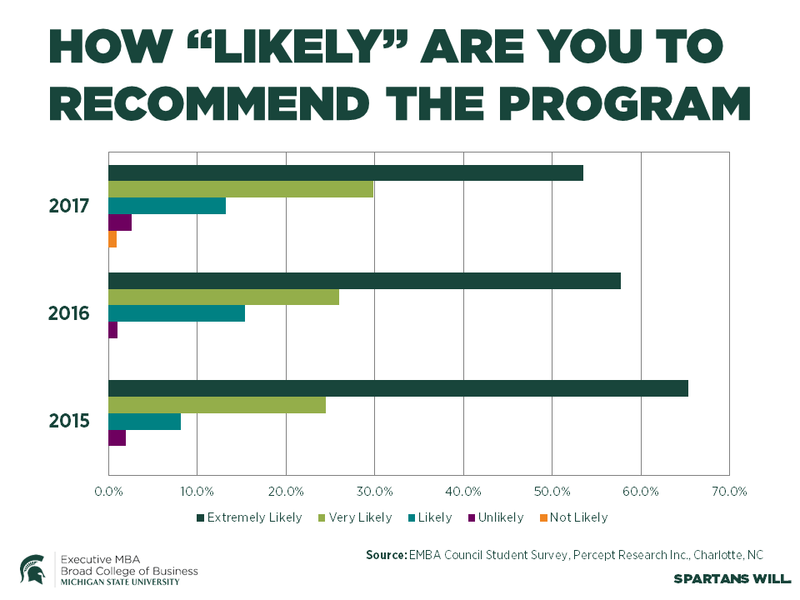 97%: EMBA students that would recommend the program. How "Likely" Are You to Recommend the Program?